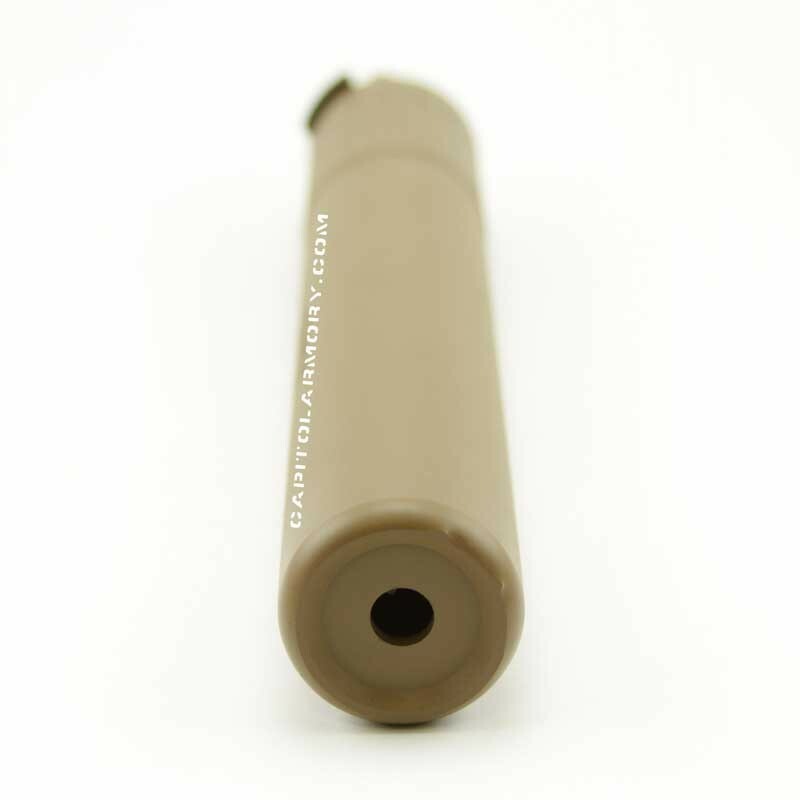 The Advanced Armament MK13-SD suppressor is an ultra-light-weight, fast-attach, high performance sound and flash suppressor for bolt action rifles chambered in 7.62mm NATO and .300 Winchester Magnum. The titanium monolithic baffle core and titanium tube give the AAC MK13-SD a weight of 13.9 ounces and the durability to withstand the pressures and temperatures found at the muzzle of .300 Winchester Magnum rifles. Available for the first time to the civilian market, the military chosen AAC MK13-SD is an ultra-light-weight, fast-attach, high performance sound and flash suppressor for bolt action rifles chambered in 7.62mm NATO and .300 Winchester Magnum. 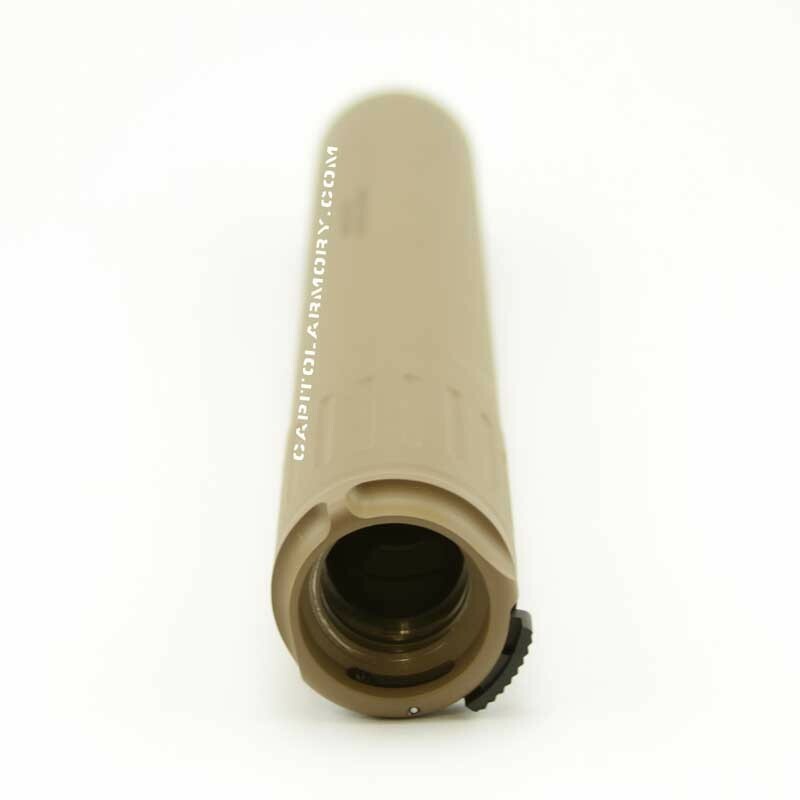 The Grade 5 Titanium monolithic baffle core and Grade 9 Titanium tube give the AAC MK13-SD an improbable weight of 13.9 ounces and the durability to withstand the pressures and temperatures found at the muzzle of .300 Winchester Magnum rifles. 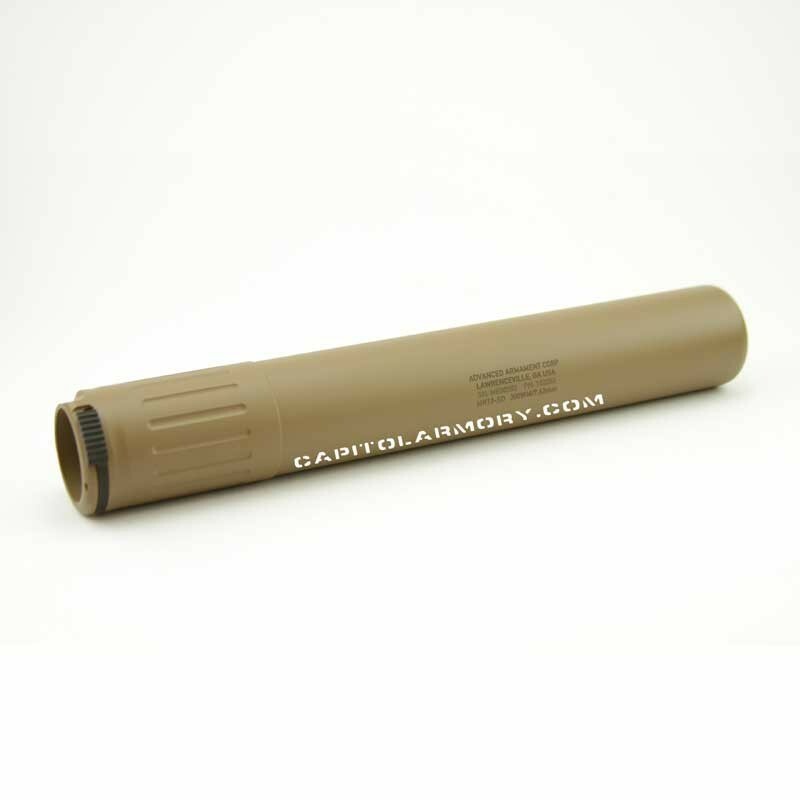 Despite its small size and light-weight, the AAC MK13-SD delivers greater sound reduction and accuracy than any similarly sized competing models.